Judy Farley, CISA, has nearly 30 years of experience in business operations and information technology security and compliance. Judy assists companies with implementing and maintaining their PCI-DSS, PA-DSS, and ISO27k certifications and ensuring compliance with GLBA and data privacy rules and regulations. Additionally, Judy seamlessly manages SOX and SOC1 audits, as well as third party contract management — enabling her clients to focus on running their business. 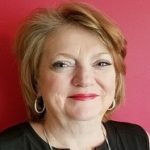 She is skilled at training employees on information security and privacy awareness, managing user access, and disaster recovery planning and updates. As a Director with BlackLine Advisory Group, she provides our clients with the day-to-day compliance help needed in all facets of the payments industry.